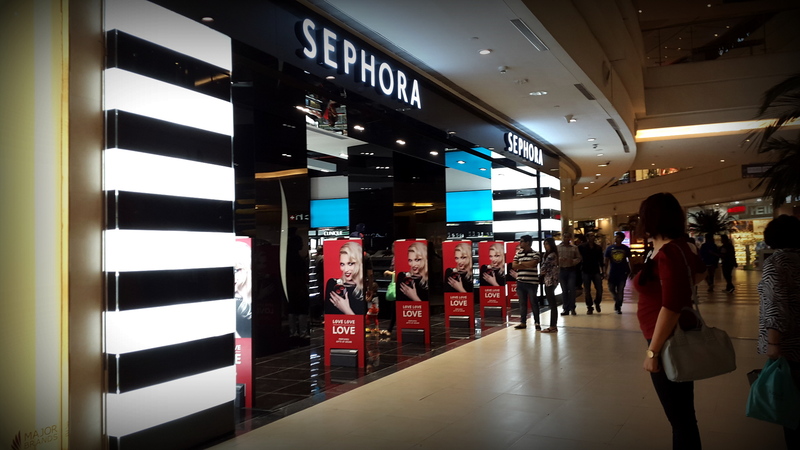 Sephora has opened up in Phoenix Marketcity Mall. 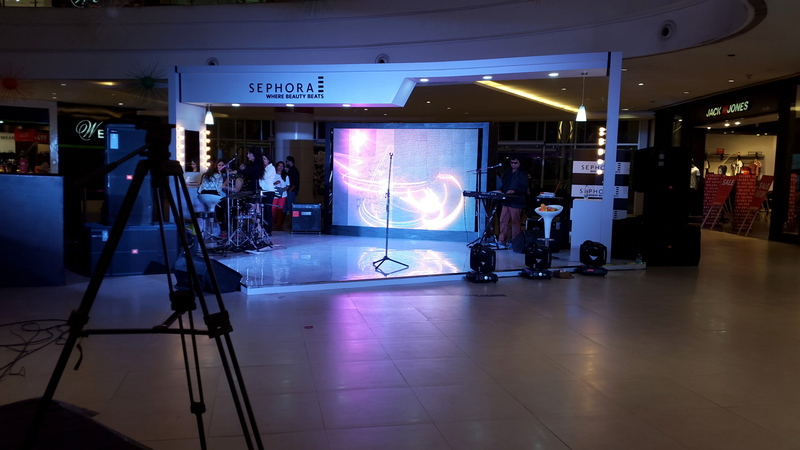 I had gone for the launch of the Sephora store & the whole mall could feel the presence of the Sephora opening up, as Sephora had organised a little show with them taking on centre stage in the mall, right at the entrance of the mall itself! 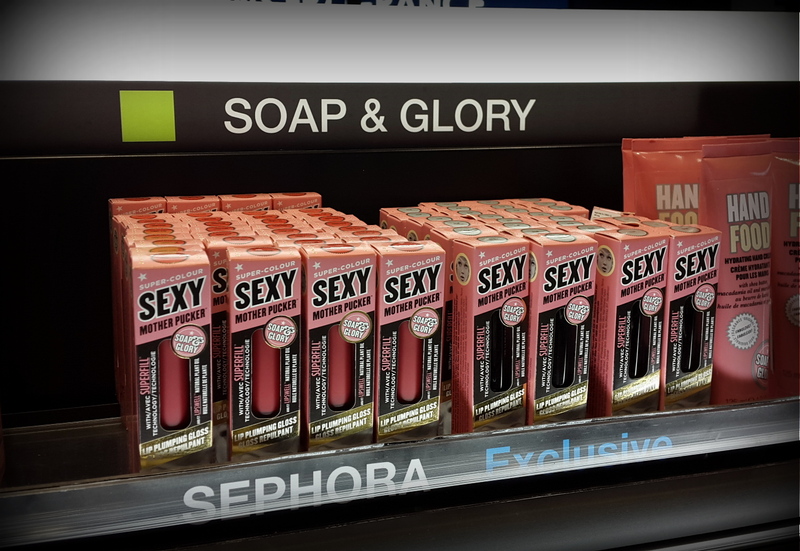 Its own In-house label Sephora. 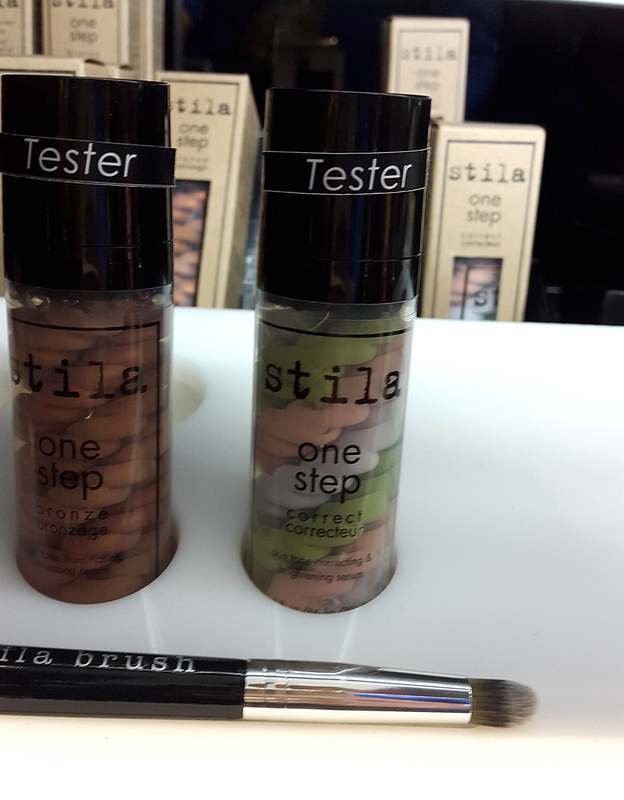 Stila One Step that is a skin tone correcting moisturizing serum! 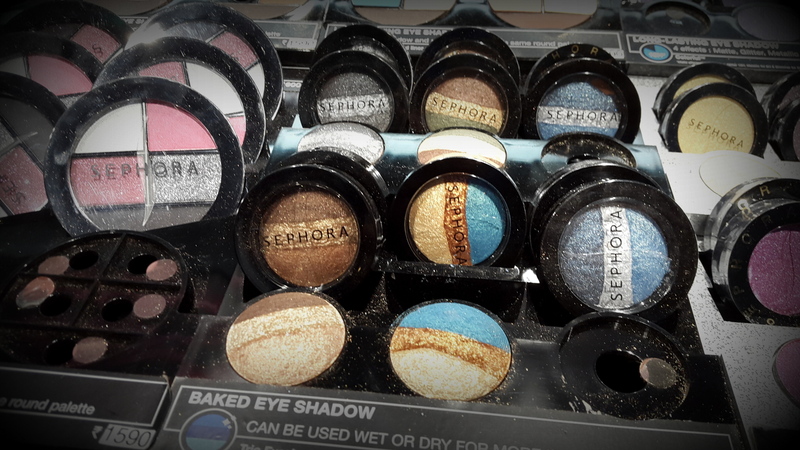 Baked eyeshadow by Sephora that had three glittery shade combinations & available at INR 1290. 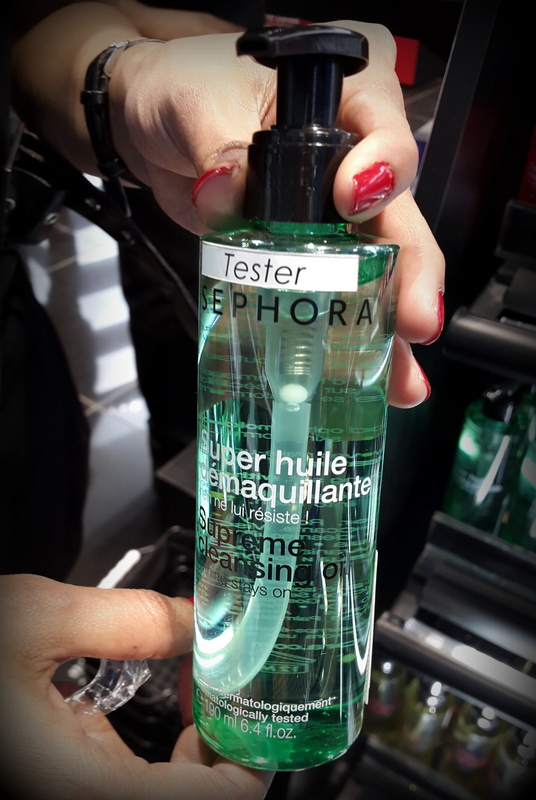 Sephora’s Supreme Cleansing Oil at INR 800 approx. 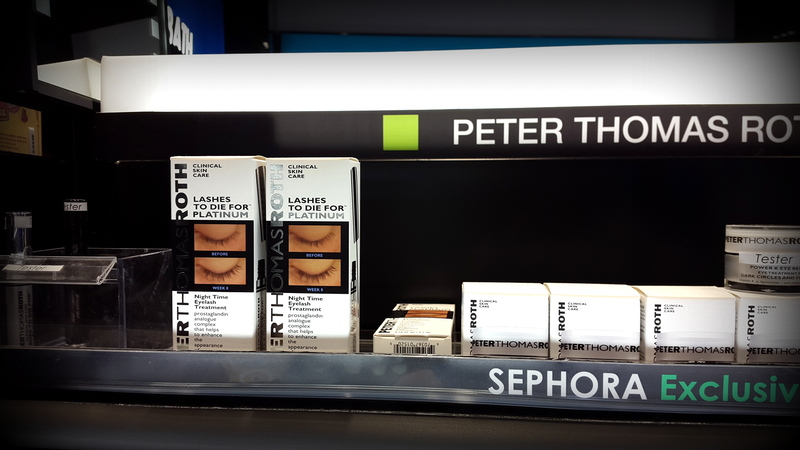 Peter Thomas Roth ‘Lashes to Die For’ which is a night treatment for the eyelashes. 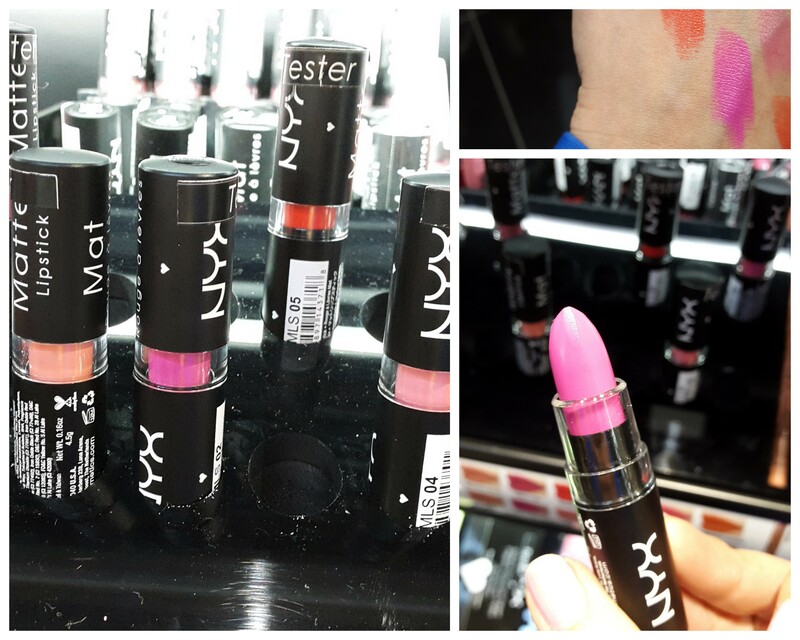 The NYX Matte Lipsticks have just stolen my heart! 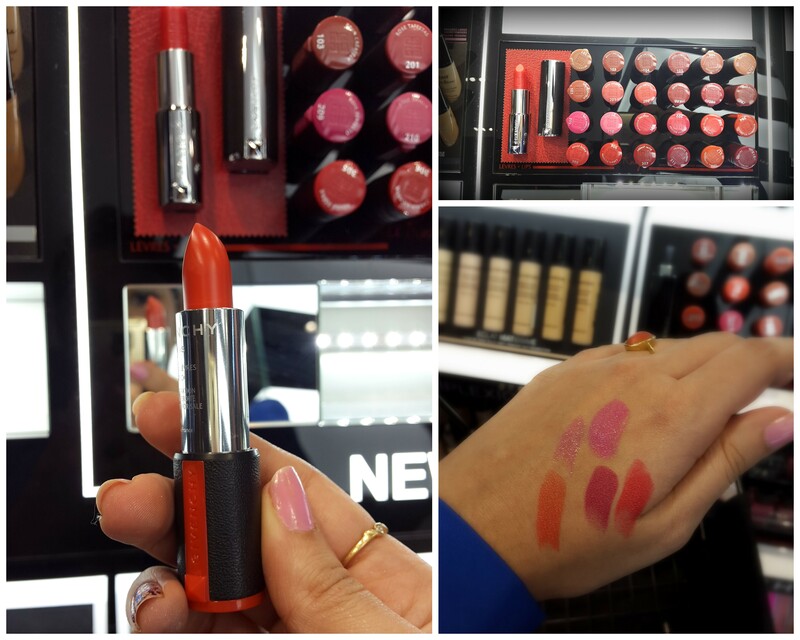 It’s matte yet creamy texture, highly pigmented colour & the best part- its priced just at INR 530! Moisture Prep toning lotion by Benefit especially for all of you with Oily skin. 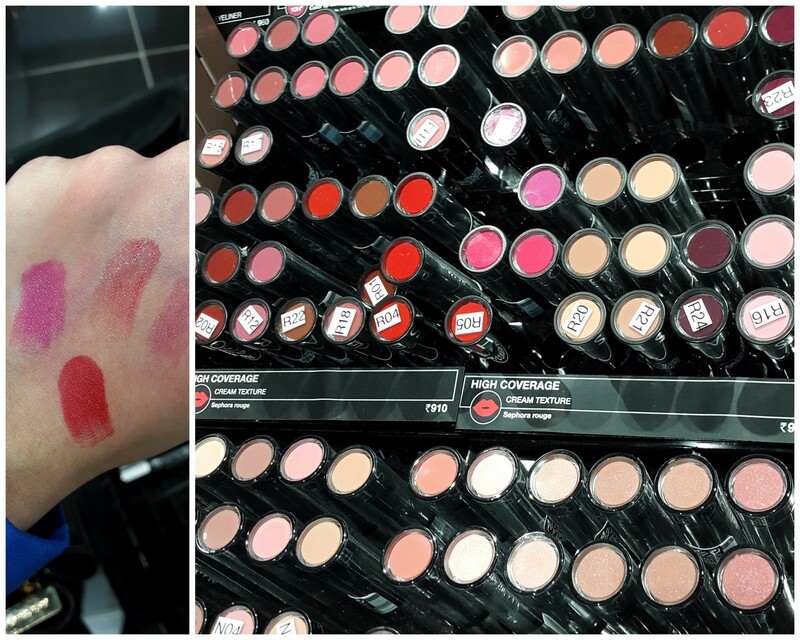 If you are looking for a lipstick from a luxury brand at Sephora, then Givenchy Le Rouge Lipstick is the one! Especially loved the look of 317 corail signature (orange) on our Indian skin tone. Mother pucker by Soap & Glory is a lip plumping lip gloss! 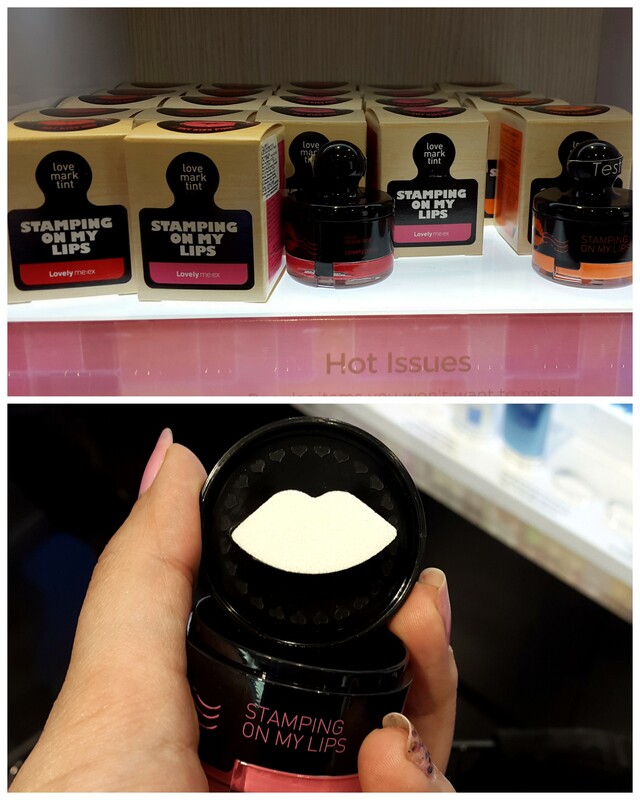 Stamping on my Lips, lip tint by The Face Shop! 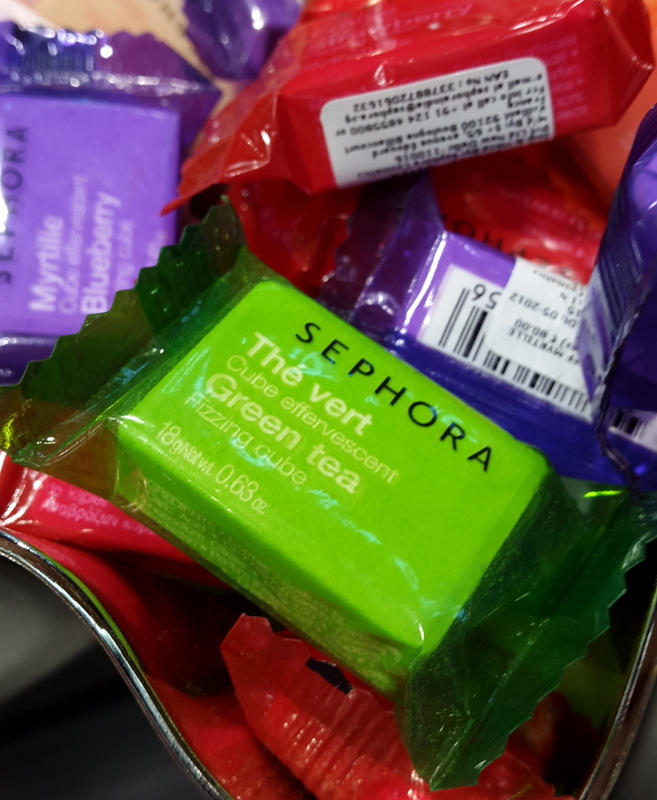 Sephora’s Fizzy cubes. 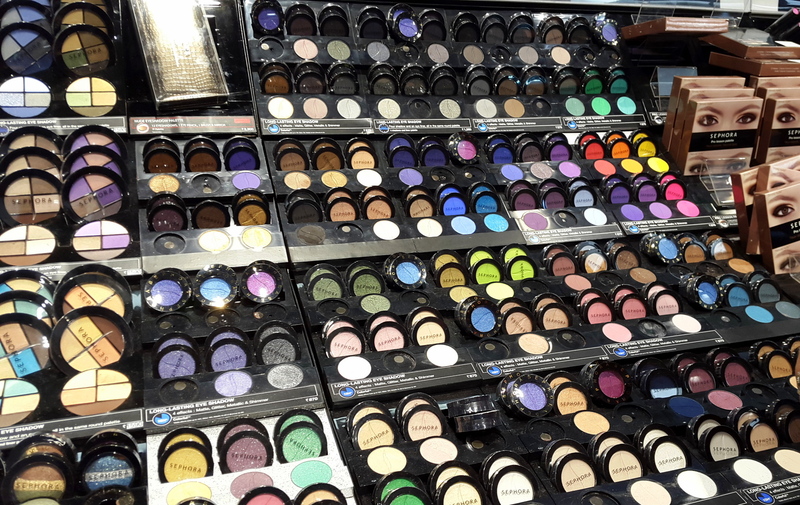 Pop eyeshadow colours by Sephora. 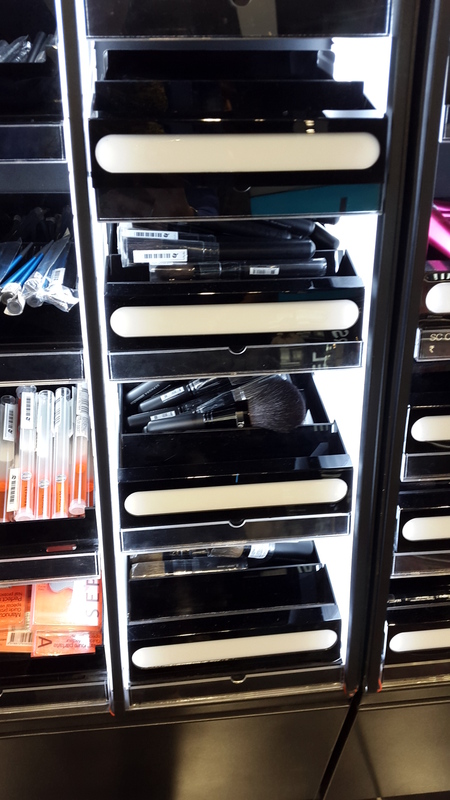 Sephora Makeup brushes! they didnt feel too soft & seemed to be very highly priced. Starting at INR 3,000 going up to 7,000. 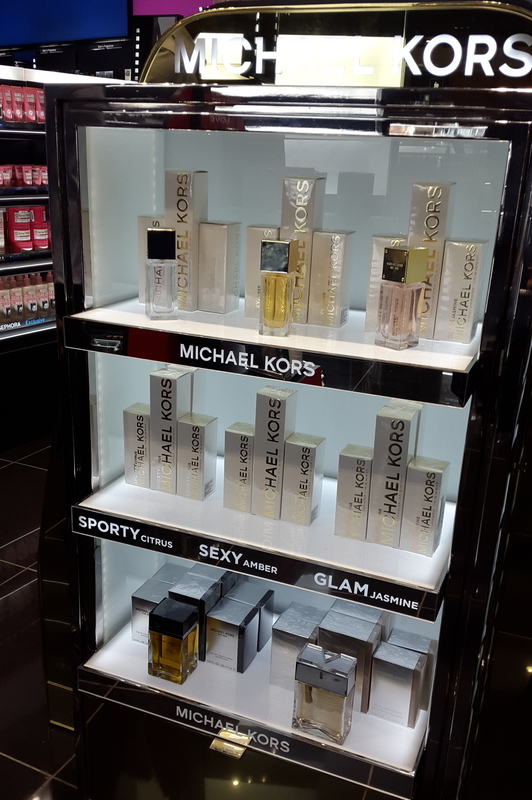 Michael Kors fragrances! 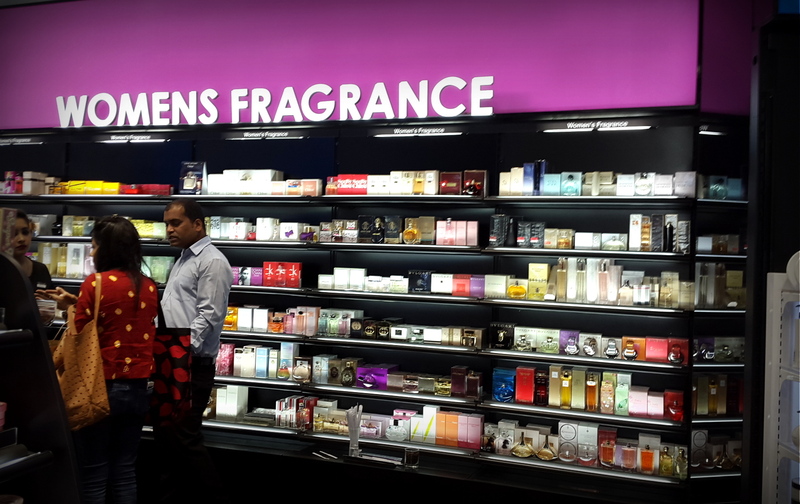 didn’t impress me as much with their scents & being priced at 6,800 I would definitely not buy them. I didn’t like the Sephora blushes much as they didn’t seem very pigmented! But for those who just like a sheer colour you can try them out. 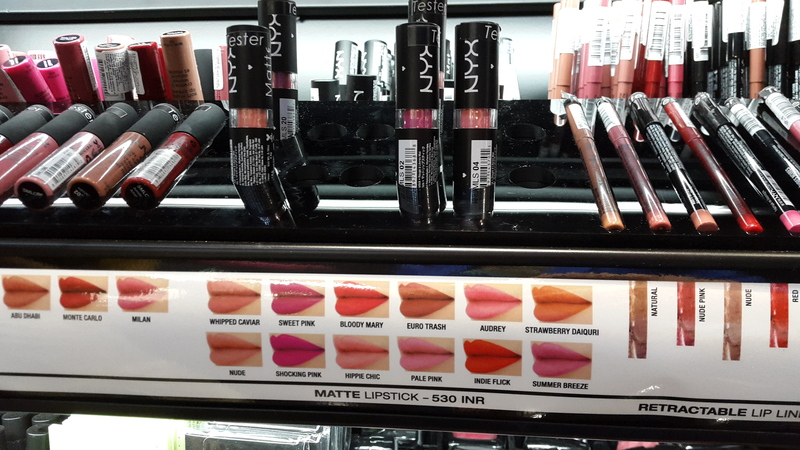 In two minds about the Sephora lipsticks because I thought you could get better lipsticks in INR 910! But yet liked the shades (especially the reds) & texture. 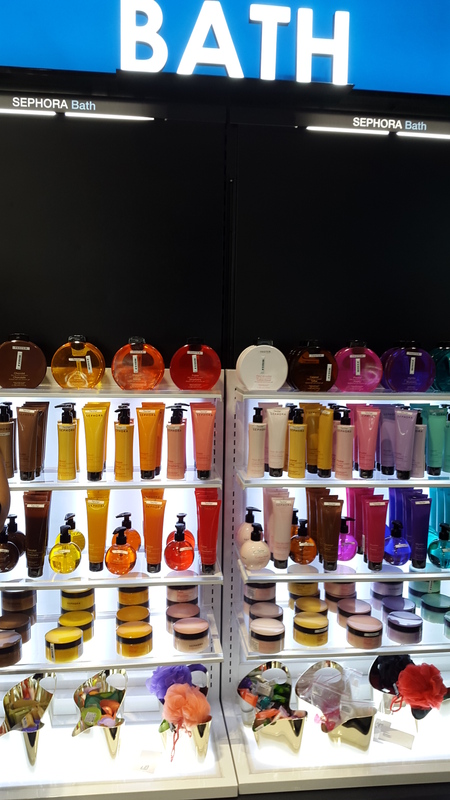 Sephora Body favourites were all full of Forest essential products. Sephora favourite Primers were from Benefit, Sephora & Make Up Forever. 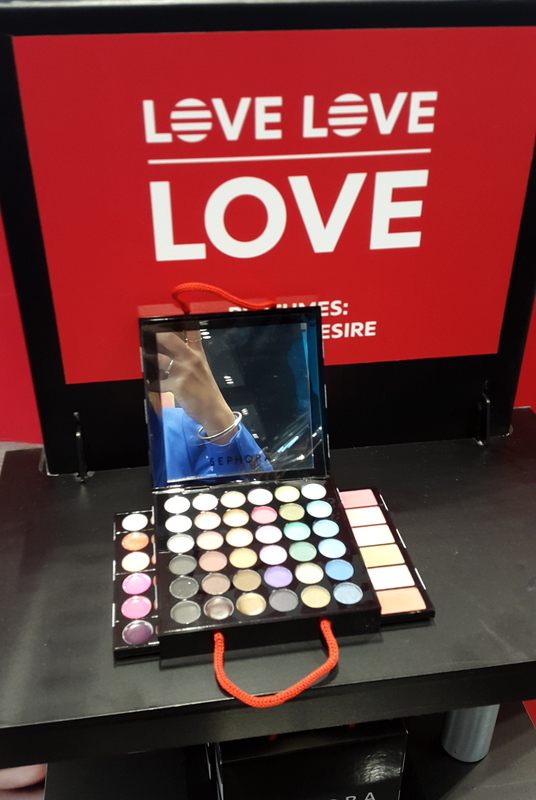 The vibe at the Sephora Pune Launch– there was a lot of hustle bustle which was more because of all the excitement of Sephora opening in Pune. 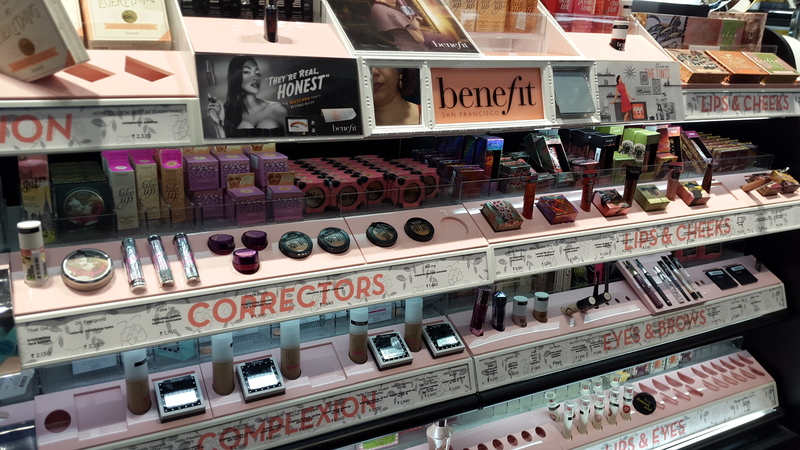 The Sephroa Makeup section was crowded with ladies of all ages because they had such a wide range 🙂 Benefit seemed to be quite the favourite with all the young gals. The Launch was refreshing & promising & I feel so proud to have all the iconic & prestigious Make-up, beauty, nails, perfume & hair labels from around the world in Pune city. I had a blast being in paradise ❤ So plan out your next Make-Up Haul! 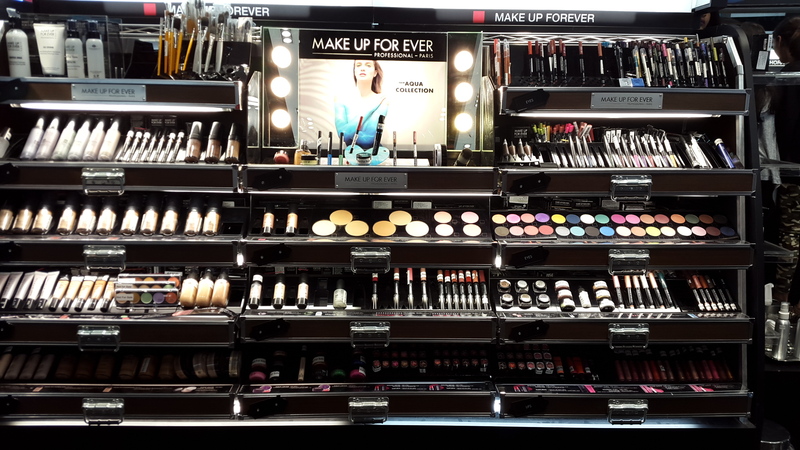 Ladies Sephora Pune is a must-visit. Thanks for so many pics are price details!! I have nominated you for the Liebster Award, do check it out on my blog! I was in Pune in January & had to leave to get back home, about 5 days before Sephora opened up 😦 Such a tragedy! 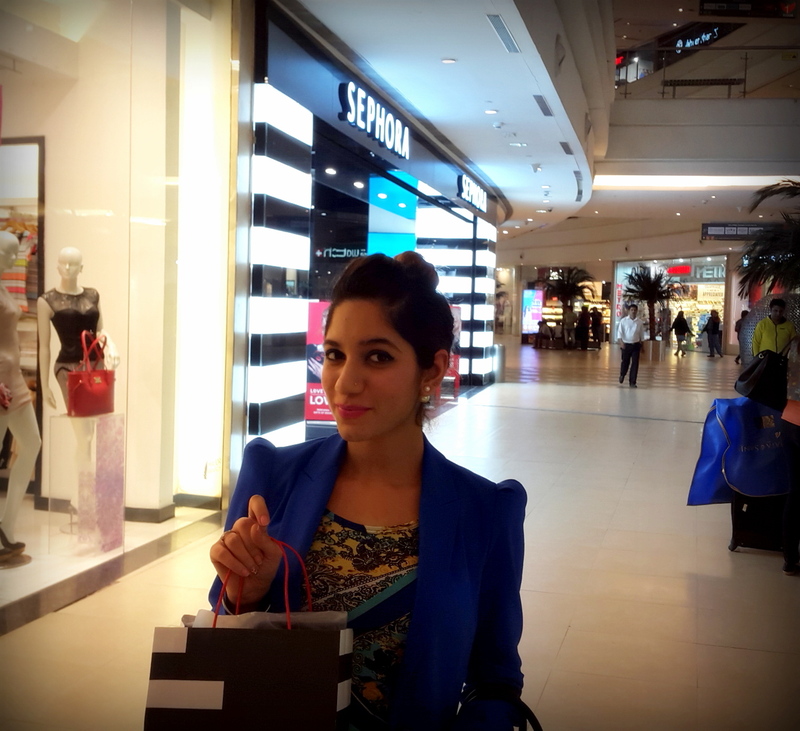 lol but here’s the fun part…I will be in Pune next week & Sephora is definitely on the cards…Threw in a search for must-buys from there & your Blogpost popped up!! 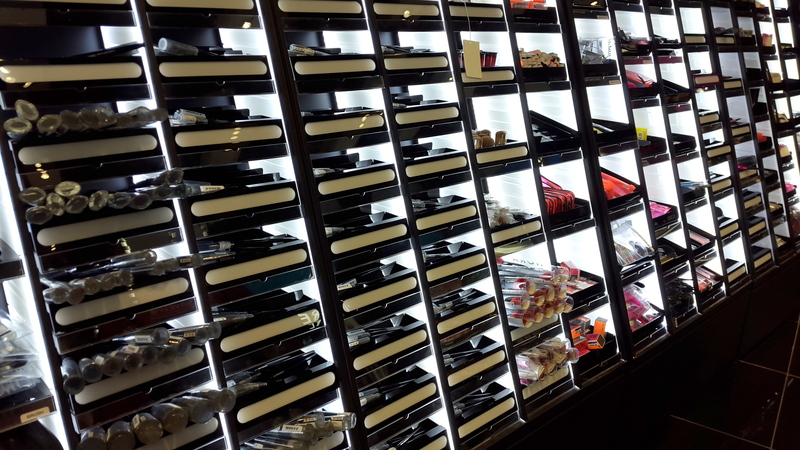 Lovely post and extremely helpful to “First-timers at Sephora” like me!! 😉 Thanks TheStyleChair!! Thank you so much Neha! Glad you liked the post & really appreciate you taking out the time with ur kind words! everything is out of stuck. and staff don’t know nothing. That is very unfortunate 😦 Try & Ask someone to pick up for you when they travelling then! Do they have Murad in skin care? I dont think they do!!! They don’t. They have Clinique and thats about it on the line of skin care of Murad’s level. 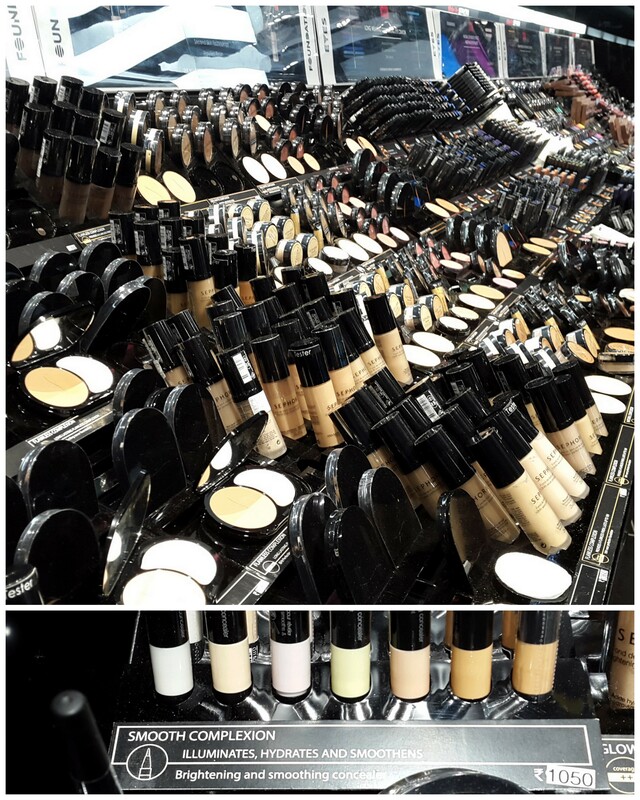 This looks really amazing,, i will be soon visiting pune will definitely check out sephora. Are these the only brands available or are more available?? Is colorpop available?? do they give free samples in pune/delhi as they do in other countries? No they don’t. SA’s are annoying. They hound you for sale. 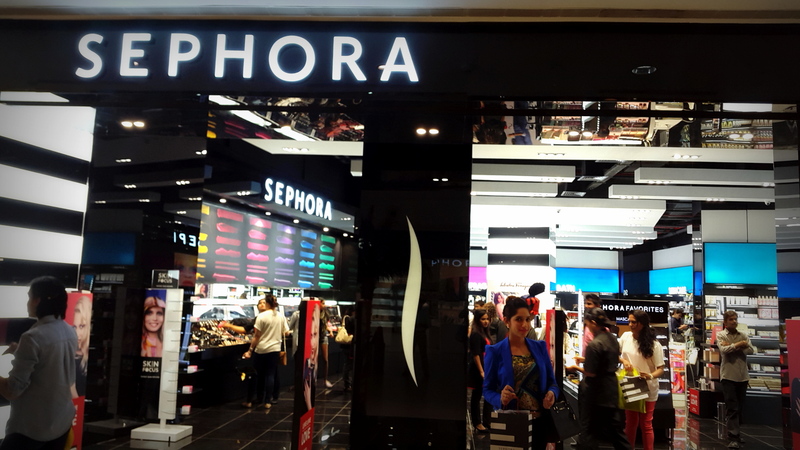 Sephora in Pune doesn’t feel like authentic sephora. Feels like any other store with some International Brand. I wish I had seen following quora thread before actually buying anything here. Hey the best would be to try it in person and if u have been using MAC then u will find the shade comparison guide online itself! did u get huda beauty foundation there ? 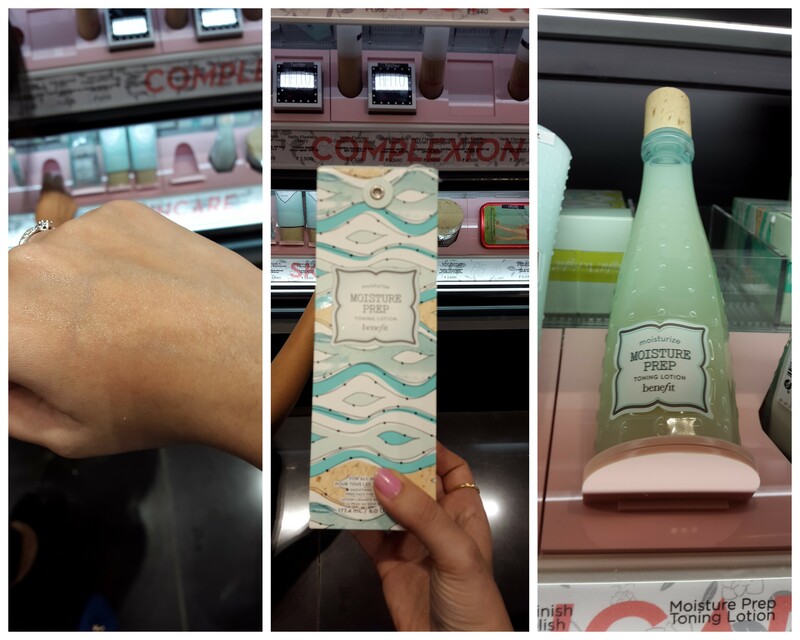 i am also looking for it but first i want to try it on my skin to match the perfect shade .. do they provide tester ? how did u find your perfect shade ?